George Albert Watson was the youngest son of William and Catherine Watson. George was born in County Galway about 1894. The 1901 census shows George to a schoolboy, living with his mother in Castleblakeney, Galway. By 1911 the family had moved to Moy, Co Tyrone. George was still a scholar. His father worked as a land steward on the Roxborough Estate. The family lived in the only house in Clonbeg. Clonbeg was north of Roxborough Castle. Lance Corporal George Albert Watson served with the Royal Army Service Corps. 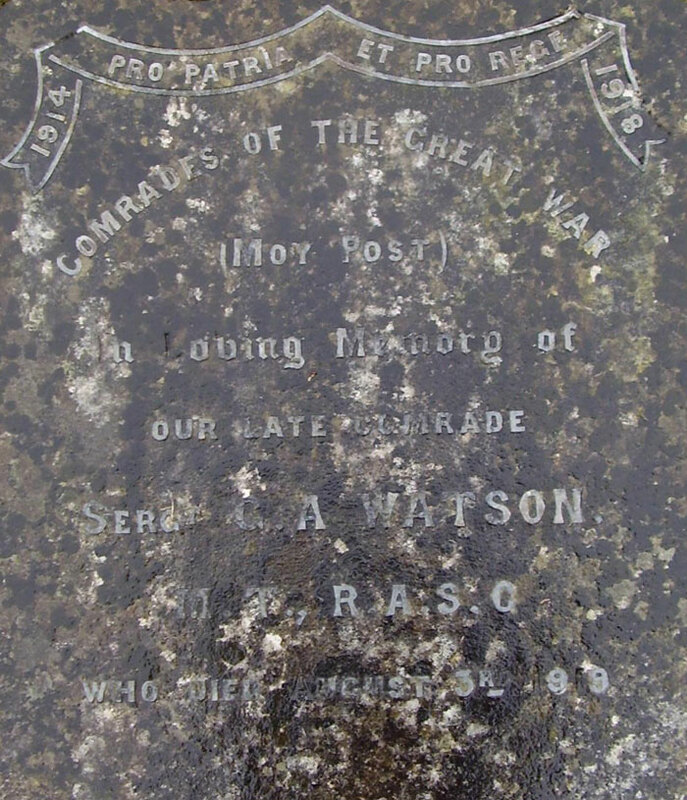 Lance Corporal George Albert Watson died on the 3 August 1919. He was 25 years old. 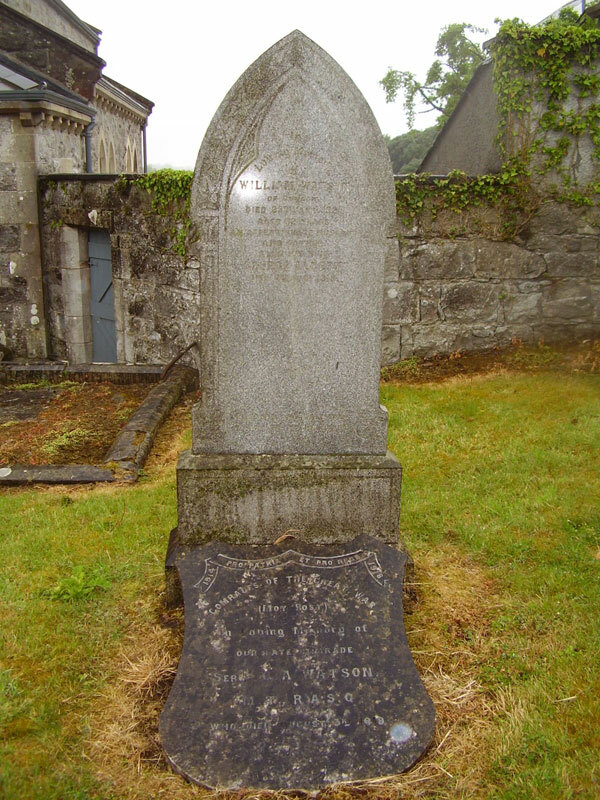 He is buried in Moy, County Tyrone.